H. Ty Warner endowed the world with Beanie Babies and endowed himself with $24.4 million in income that he hid in a secret Swiss bank account in order to avoid U.S. taxes. For most tax scofflaws of millions of dollars or even less than Warner’s stash, the consequence is being able to play with your Beanie Babies in a federal jail cell. For example, in the midst of the current IRS crackdown on people with offshore bank accounts, one Peter Troost, a guy who made gravestones and monument markers, was sentenced to 366 days in jail for having skipped out on taxes on $3.3 million in income. Not Warner. The Oak Brook, Illinois resident worth about $1.7 billion (Forbes says he is worth $2.6 billion) was sentenced to do 500 hours of community service for three Chicago high schools, but no jail time. Warner’s attorney, Gregory Scandaglia, had a different perspective. “The judge heard from many people who have benefited from Ty’s quiet generosity over the years,” Scandaglia said, “and he crafted a sentence that allows Ty to continue to make amends in a way that most benefits society.” It’s certainly the message the judge got. “Warner’s private acts of kindness, benevolence and generosity are overwhelming,” Kocoras said in court. Defenders of Warner might point to his enormous civil fine of $53 million, but federal law mandates a penalty of 50 percent of the value of such offshore accounts if someone like Warner fails to file the required Foreign Bank Account Reports (FBARs), though the Forbes coverage of the trial said that Warner had more than $200 million in offshore accounts. His trial in front of Kocoras for the crime of tax evasion resulted in two years probation, community service, and a fine of $100,000, a prosecution fee of $500,000, and a court fee of $100. Has Warner been so extraordinarily generous that a multi-year scheme of tax evasion is worth overlooking? The judge cited letters he had received extolling Warner’s charitable generosity, but the press coverage didn’t note whether Warner gives an incredibly high proportion of his income or wealth to charitable causes. In other press coverage, however, Warner has captured some attention for his giving. Two years ago, while lost, Warner asked a woman for directions. He learned that she needed money for a stem cell procedure (she was suffering from kidney failure, but didn’t qualify for a transplant), and sent her a check for $20,000. Last year, his company, Ty Inc., donated 1,620 Beanie Boos and 1,440 Beanie Puzzle Erasers to the Humanitarian Service Project in Carol Stream, Illinois, for distribution to poor children in DuPage and Kane Counties. 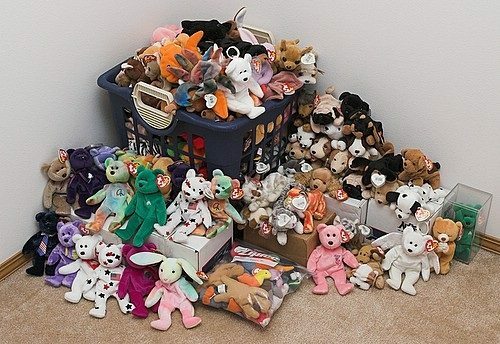 Early after the U.S. invasion of Iraq, Ty Inc. pledged 10,000 Beanie Babies for the Orphans of War Campaign in Iraq. Another source says that Warner’s company donated 1 million Beanie Babies to Iraqi children, donated another $300 million worth of toys in a Red Cross drive, gave money to Andre Agassi’s foundation to help poor children in Nevada, and put up $1.5 million toward the $6.5 million Ty Warner Sea Center in Santa Barbara, California. Warner doesn’t just own Beanie Babies. He owns the New York and Santa Barbara Four Seasons Hotels, the San Ysidro Ranch, golf courses, country clubs, and more. Oddly, in his sentencing commentary, Judge Kocoras noted that Warner was also charitably generous toward his employees, but that seems to fly in the face of an investigative report this year by ProPublica accusing Ty Inc. of recruiting Mexican immigrants from Chicago street corners regularly to work in Ty warehouses, paying the workers about $6 an hour, well below the Illinois minimum wage of $8.25. The story is not one of generosity to these immigrant workers who don’t even know they are working for Ty, just that they work on los peluches (stuffed toy animals).